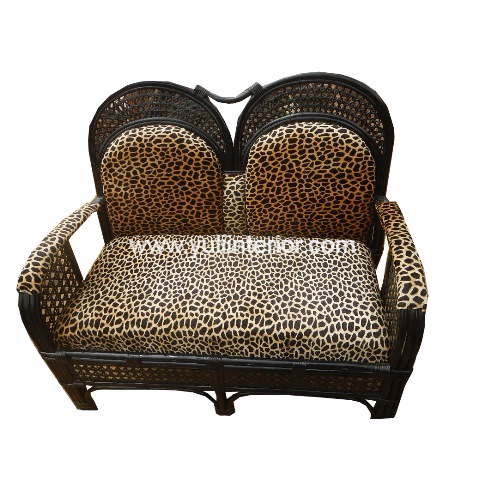 This YI two seater cane chair with cushion adds a stylish touch to your home decor. The chair is available in multiple finishes. The cushion fabric can be customized and changed to suit your taste. Frame Finishes: charcoal or brown.